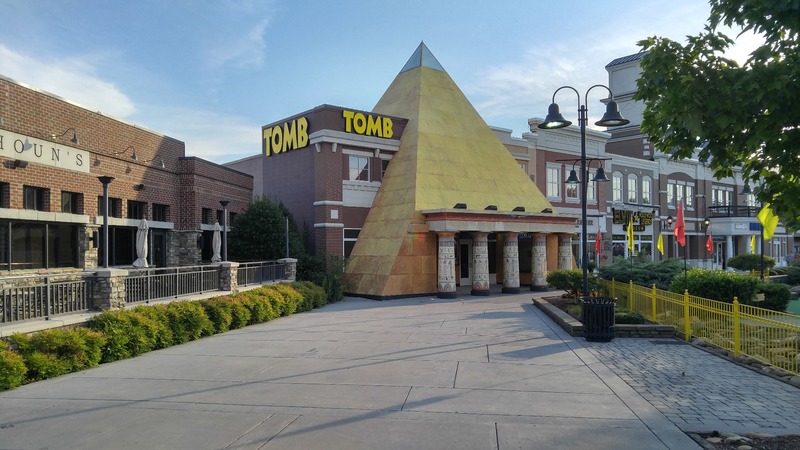 Pigeon Forge’s newest adventure TOMB™ takes your group of archaeologists deep into an ancient Egyptian tomb for 45 minutes of excitement. 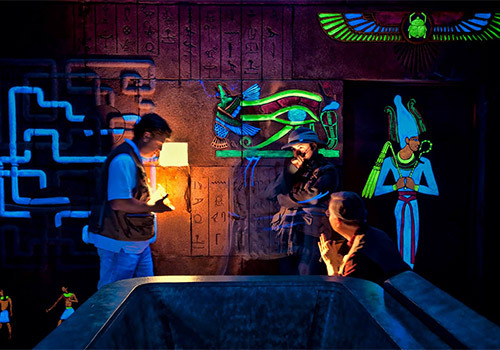 Guests find themselves trapped by the spirit of an ancient Pharaoh, faced with ingenious challenges that must be completed for any chance of making it out alive. 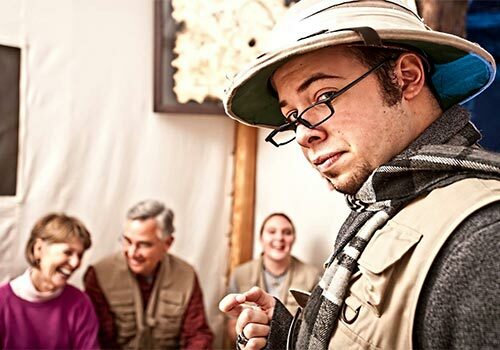 Your group must work together to find success in this battle of wits. Fun for the whole family! 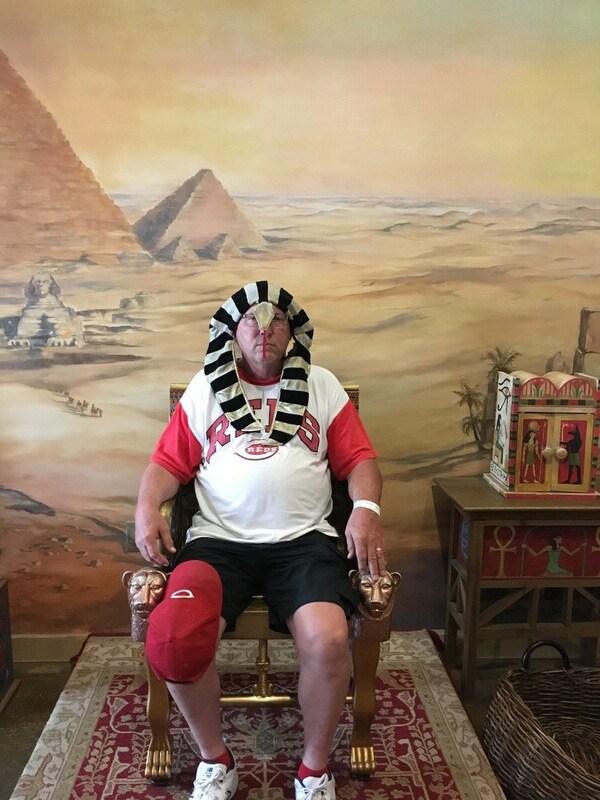 Feels like the set of an Indiana Jones movie. 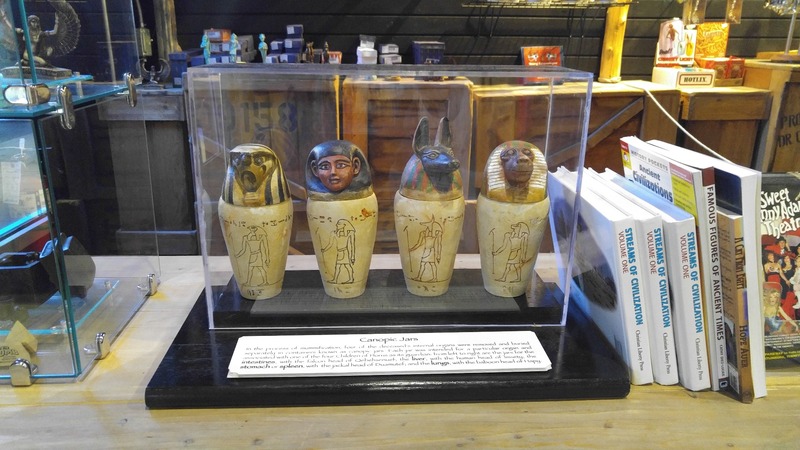 Use clues to solve the Pharaoh's mystery. Challenge will last approx. 45 minutes. Expeditions depart every 15 minutes. Work together to complete the tasks. 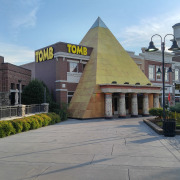 Escape The Tomb, Pigeon Forge's premier Egyptian escape game adventure that's fun for all ages! 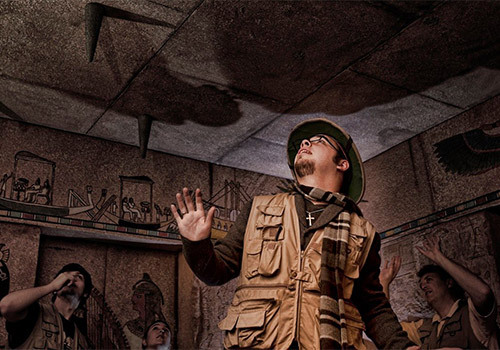 TOMB™ takes your group of archaeologists deep into an ancient Egyptian tomb for 45 minutes of excitement. 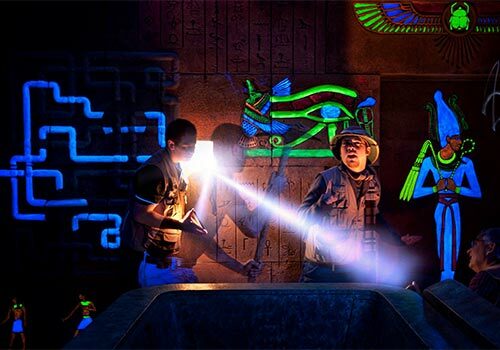 Guests find themselves trapped by the spirit of an ancient Pharaoh, faced with ingenious challenges that must be completed for any chance of making it out alive. 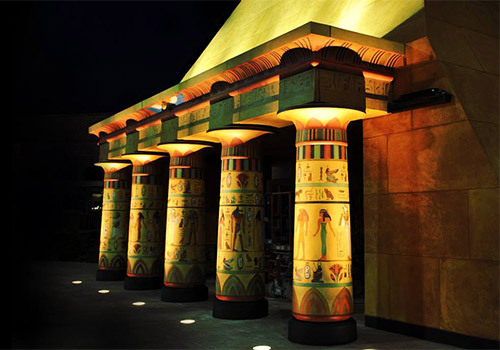 Your group must work together to find success in this battle of wits, or face the Pharaoh’s wrath. If you fail, you may never escape! “It was great quality time where the whole family was involved. 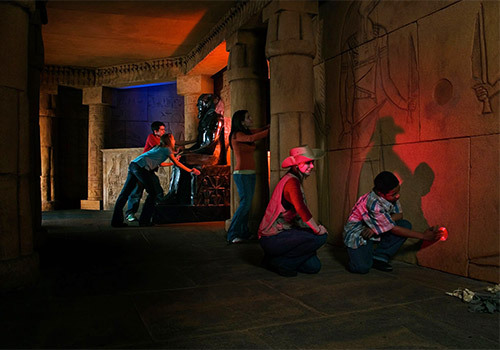 We enjoyed spending time as a family and working together to complete this attraction. 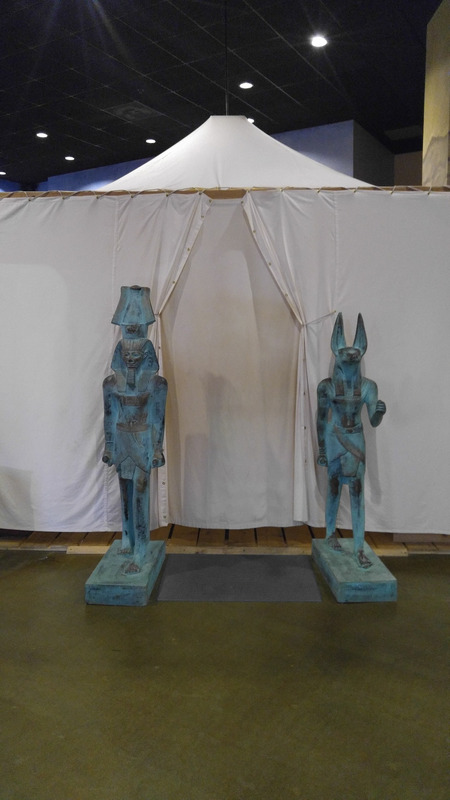 We felt it was good value for the money." "Absolute must see! 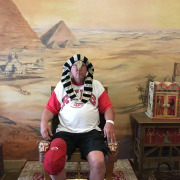 This is hands down the best attraction in the Gatlinburg/Pigeon Forge area. Phenomenal effects, very realistic props, just flat out awesome. Our guide made our whole experience. 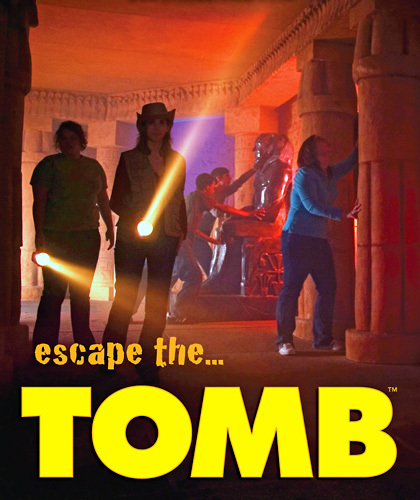 You owe it to yourself to check Tomb out!" "Great place! Everyone kept telling me it was for kids. Well us big kids had more fun than the kids did. 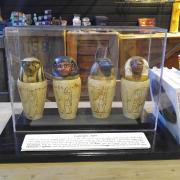 We had lots of fun and adventure at the TOMB." 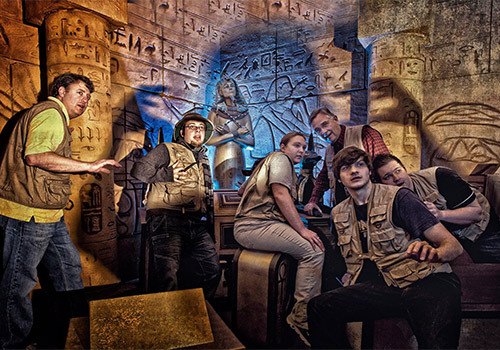 What do I do in the Tomb Family Adventure attraction? 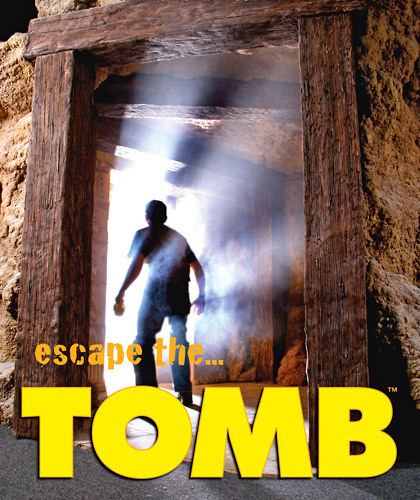 The Tomb Adventure is an escape-style game and experience. 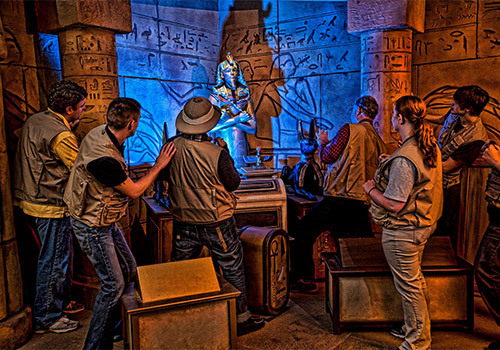 Groups must work together to complete challenges and escape the “Pharoh’s wrath”. No. Groups depart into the tomb every 15 to 30 minutes. 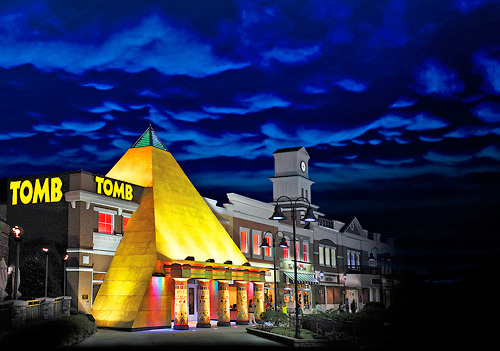 The Tomb Family Adventure is open on weekdays from 10:00 am - 8:00 pm and weekends from 9:00 am - 9:00 pm. 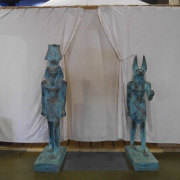 We are located at 2528 Parkway in Pigeon Forge, TN 37863.